DVD/Video Converter for iPod, Zune, PSP, iPhone, 3GP Phone, MP4 player! As professional video converter, Any Video Converter performs to its excellence in converting AVI, MPG, RMVB, MOV, MKV and many other video formats to WMV, AVI, MP4, FLV, 3GP and other popular formats at fast speed and with outstanding quality. 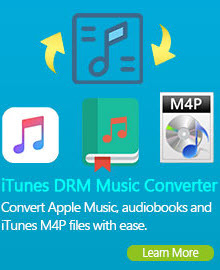 Any Video Converter supports iPod, iPhone, Zune, PSP and other Portable Media Players (PMPs) and cell phones. 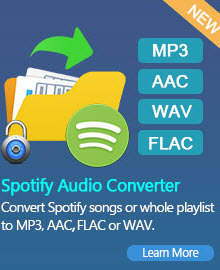 Besides the output formats dedicated for iPod, iPhone, Zune, PSP and cell phones, Any Video Converter supports customizing WMV, AVI and 3GP formats. DVD is short for Digital Versatile Disc or Digital Video Disc. It is acknowledged as a new generation of standard disc media storage technology. It's commonly used to store video and data. Compared to the compact discs (CDs) with same dimensions, most DVDs store more than six times as much data. DVDs are playable in dedicated DVD players, personal computers and so on. DVD uses MPEG-2 format for compression. MPEG-2 can compress a 120-minute movie into approximate 4GB to 8GB file size movie. VCD is short for Compact Disc digital video, which is a standard digital format for video storage on a compact Disc. VCD are played in dedicated VCD players and some video game consoles. As VCD is mostly compatible with the DVD-Video standard, it also can display on most modern DVD-video players. MPEG-1 is used in the CD-i and Video-CD systems for storing video and audio on CD-ROM. VCD use MPEG1 format for compression. MPEG-1 compression technology can compress a 120-minute movie into approximate 1.2GB file size movie. Digital video (DV) is a digital video format. Its smaller tape form factor MiniDV has become a standard for home and semi-professional video production. It is sometimes used for professional purposes as well, such as filmmaking and electronic news gathering. MPEG is short for The Moving Picture Experts Group, which is a working group within ISO/IEC, specifying video and audio encoding standards. As of late 2005, MPEG has grown to approximately 350 members per meeting and the members are experts in the field of video and audio. MPEG is better than the other compression or decompression programs for three reasons below: firstly, MPEG enjoys better compatibility since it’s adopted a international standard; secondly, MPEG provides a better compression ratio, the highest ratio can reach 200:1; last but the more important, MPEG lost very few datum. MPEG-1: Initial video and audio compression standard. Later used as the standard for Video CD, and includes the popular Layer 3 (MP3) audio compression format. It apply to different wide board equipment, such as CD-ROM、Video-CD、CD-i. MPEG-1 is also used to the video transmission of the digital telephone network, such as video-on-demand (VOD), education network. Meanwhile, MPEG-1 can be used for media recording or audio transmission on Internet. MPEG-2: MPEG-2 is designed for better image quality and higher transmission rate with advanced industry standard. It’s the video and audio standards for broadcast-quality television. It’s used for over-the-air digital television ATSC, DVB and ISDB, digital satellite TV services like Dish Network, digital cable television signals, SVCD, and with slight modifications. Most MPEG-2 decoder can display datum in MPEG-2 format, such as VCD. MPEG-3: Originally designed for HDTV, but abandoned when it was realized that MPEG-2 (with extensions) was sufficient for HDTV. MPEG-4: Expands MPEG-1 to support video/audio "objects", 3D content, low bitrate encoding and support for Digital Rights Management. MPEG-4 mainly applies to videophone, VideoEmail and Electronics and so on. It requires lower transmission rate, which is between 4800-64000bits/sec, 176-by-144 resolution. Compared with MPEG-1 and MPEG-2, MPEG-4 is fit for interactive AV service and remote monitoring. Note that many devices advertised as "MP4 players" are simply AMV video capable MP3 players, and do not play MPEG-4 part 14 or any other MPEG-4 format. H.264 is the standard of highly compressed digital video codec, which is the product of a partnership effort known as Joint Video Team (JVT), developed by the ITU(ITU Telecommunication Standardization Sector) Video coding Experts Group together with the ISO/IEC Moving Picture Experts Group(MPEG). It's also known as MPEG-4 part 10 or MPEG-4 AVC ( for Advanced Video Coding).Compared to the formal video standard, such as MPEG-2 or H.263, H.264 delivers the same high video quality at a third or half the data rate. Meanwhile, it does not insert much complicated coding tools, which makes it incompatible with the hardware. H.264 is able to cover a wide range of different code rate and video resolution and is capable to work on all kind of networks and systems, such as multicast, DVD storage, RTP/IP network and ITU-T multimedia telephone system. Windows Media Video (WMV) is a compressed video file format for several proprietary codecs developed by Microsoft. The official filename extension for WMV files is .wmv. Its compression ratio is higher than MPEG-2 standard. MPEG-2 is able to compress a two-hour HDTV program into a 30 GB program, but if you use WMV, its high compression encoder can compress the program into a program under 15GB while maintaining visual quality .WMV is fit for network brocast and transmission, because on even ground of the video quality, WMV has smaller volume. AVI (Audio Video Interleave) is an acronym and file format, which is a multimedia container format introduced by Microsoft in November 1992 as part of its Video for Windows technology. AVI format can contain both audio and video data in a file container that allows synchronous audio-with-video playback. It uses lossy compression method for video files, so visual quality is not very good. But due to the high compression ratio, it is widespread used. AVI supports 256 color and RLE compression and mainly use to store video information from TVs and movies in multimedia discs. DivX is a brand name of products created by DivX Inc, which is a widespread used video coding technology. The DivX codec has become popular due to its ability to compress lengthy video segments into small sizes while maintaining relatively high visual quality, and it allow you to select audio in most formats, including VBRMP3 and even AC3.It is one of several codecs commonly associated with "ripping", whereby audio and video multimedia are transferred to a hard disk and transcode. DivX use MP3 technology to compress audio of the movie while MPEG-4 technology for video compression, then combine them together to make a movie. Because MP3 and MPEG-4 enjoy a great deal of compression ability, which make the capacity of the movie sharply decrease, a 2G DVD movie is able to compress into a 650M CD-R.
Xvid is a video codec following the MPEG-4 standard. It features MPEG-4 Advanced Simple Profile features such as b-frames, global and quarter pixel motion compensation, lumi masking, trellis quantization, and H.263, MPEG and custom quantization matrices. The main competitor of Xvid is DivX Pro Codec, which is proprietary software developed by DivX Inc. Unlike DivX, Xvid is free software, opening its source code to the public. Once the program is finished, it will be published under the GPL. So Xvid can be used on all platforms and operating systems which the source code can be compiled, while DivX is only available for a limited number of platforms. MOV is the video format of Quick time. It is an audio and video format developed by Apple, commonly used for storing digital media types, such as audio and video. When you select QuickTime (*. mov) as a "Save as type", the animation will be saved as. Mov file. It is a popular video format. In some respects, it is better than WMV or RM, which is supported by a lot of multimedia edit and video processing softwares. It is a good choice to use MOV format to store a movie. To make MOV videos, you can use QuickTime player, which embodies MOV video maker. A VOB file (Video Object) is a container format contained in DVD-Video media. VOB is based on MPEG-2 format and mainly used to store all the audio and video data in MPEG-2 format. The datum includes the movie itself, the frame for menu and push buttons, and several picture streams of the subtitle's branches as well. If the VOB file extension is changed from .vob to an MPEG-2 type file extension such as .mpg or .mpeg, the file is still readable and maintains to keep all the information, although most MPEG-2-capable players don't support subtitle tracks. 3GP is a multimedia container format defined by the Third Generation Partnership Project (3GPP) for use on 3G mobile phones. It is a simplified version of MPEG-4 part 14(MP4), designed to accommodate mobile phones by decreasing storage and bandwidth requirements. 3GP files have the filename extension .3gp or .3g2. Both are based on MPEG-4 and H.263 video, and AAC or AMR audio. A 3GP file is always big-endian, storing and transferring the most significant bytes first. It also contains the image sizes and bitrate, so content is correctly sized for mobile display screens. 3GP is viewable on Linux, Mac and Windows platforms with the programs such as VLC media player, RealPlayer, QuickTime, GOM Player and Media Player Classic. FLV (Flash Video) is a file format used to deliver video over the Internet using Adobe Flash Player. With the advent of the FLV format, the problem that leading-out SWF files too large to be broadcasted on line is effectively solved. Due to the small file size and the fast loading speed, FLV make watching video on-line become possible. Because of the incredible advantages mention above, FLV is the most fast-growing and widespread-use video dissemination format, which is widely adopted by many video sharing websites. Notable users of FLV include YouTube, Google Video, Reuters.com, Yahoo! Video, as well as many television news operations. AAC (Advanced Audio Coding) is developed by the MPEG group that includes Dolby, Fraunhofer (FhG), AT&T, Sony and Nokia—companies that have also been involved in the development of audio codecs such as MP3 and AC3 (also known as Dolby Digital). It is a standardized, lossy compression and encoding scheme for digital audio. Designed to be the successor of the MP3 format, AAC achieves better sound quality with smaller file sizes. Due to the restriction of patent royalty, AAC is not widely used as MP3 at present. It is best known as the default format of Apple's iPhone, iPod, iTunes and the all the audios in the iTunes Store. AAC is also the standard audio format for Sony's PlayStation 3, Nintendo's Wii and the MPEG-4 video standard.